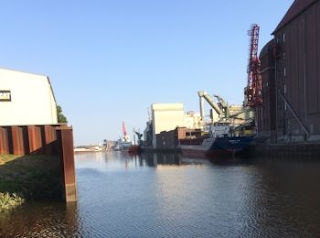 A consignment of 3000 tonnes of fishmeal that was loaded in occupied Western Sahara is at present being unloaded in the port of Bremen, Germany. "How does this fit with the ECJ judgment on trade with Western Sahara? ", WSRW asks.Images above and to the right show Bente unloading fish meal in Bremen at 0900 AM, on 19 July 2018. Photo: Michael Braunschädel. This article is under construction: More images and videos of Bente in Bremen will be published. This morning, 19 July 2018 at 6 am, the Dutch-flagged Bente moored at the port of Bremen, Germany. The vessel had departed the port of El Aaiún, the capital city of occupied Western Sahara, on 10 July, after having taken in a cargo of fishmeal. Western Sahara Resource Watch (WSRW) has reason to believe that the cargo consists of 3000 tonnes of meal and that the importer is Köster Marine Protein GmbH, currently the only provider of fishmeal from third countries outside of the EU and northern Europe. Köster Marine Protein (KMP) owns a terminal at the port of Bremen - the exact same terminal where the Bente is now at anchor. The company furthermore states on its website that it imports from "Morocco". WSRW today sent a letter to KMP regarding the matter, inquiring how the imports can be in line with a 2016 judgment from the Court of Justice of the EU. It is unclear how German customs authorities will handle the cargo. In December 2016, the Court of Justice of the European Union (CJEU) ruled that the trade agreement with Morocco could not be applied to Western Sahara, as Morocco has no sovereignty over the territory. As such, the Court stated, the EU's agreement with Morocco can only affect the territory with the consent of the people of Western Sahara. The people of Western Sahara have never consented to any EU-Morocco agreement being applied to their occupied homeland. In March 2017, the EU Commission issued a guidance note to the customs authorities of the EU Member States, outlining the implications of the judgment: “Goods imported into the EU, whose origin is Western Sahara shall be declared so (the appropriate code to be mentioned in the customs declaration is ΈΗ’); tariff preferences cannot be claimed in the customs declaration and shall not be granted: the Most Favoured Nation duty rates apply.” In addition, the Commission advised that “In case of reasonable doubt about the authenticity of the proofs of origin and the correctness of the information given in these documents, the customs authority of the Member State of import sends a request for verification to the competent Moroccan authorities." 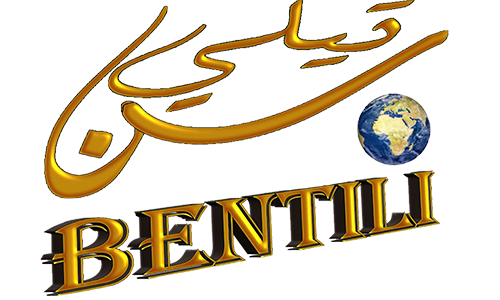 In the case of the Bente, the documentation accompanying the shipment will most likely have been issued by the Moroccan authorities. But since they have no sovereignty in Western Sahara, as stated in the CJEU judgment, it cannot perform acts that ensue of sovereign capacity, such as delivering the necessary certificates for the Bente's cargo. Consequently, the fish meal from Western Sahara cannot be taken in in Germany. KMP's statement that it is importing from 'Morocco' underlines that the imports could be treated under the erroneous tarrif regime. There are no references to 'Western Sahara' on the website of KMP. Two days ago, on 17 July, the Polisario - the UN-recognised political representation of the people of Western Sahara - sent a letter to the German Ministry of Foreign Affairs, asking the cargo not to be permitted to unload in Germany. Yesterday, Members of the European Parliament, including Barbara Lochbihler and Helga Trüpel from Germany, sent a letter to the EU Commission, calling for an urgent intervention to "seize the relevant German authorities with a view to taking the appropriate measures, notably in application of the Commission's note on the customs implications of the ECJ judgment". Before transporting the fishmeal further, it is stored for 72 hours in silos on the port premises that can store up to 50.000 tonnes of fishmeal. The silo seems to be part owned by KMP together with J. Müller. The producer of the fishmeal is likely to be Laayoune Protein, located in El Aaiún. Laayoune Protein is boasting a cooperation with a company called "Koster Marine AB", linking with a URL to a Swedish company with that name. The latter is however a small Swedish company running a ferry-service between islands on the Swedish west coast. WSRW sees this as an unlikely partner of Laayoune Protein, and that the real partner is the fishmeal company in Bremen, Germany. Laayoune Protein also names Olvea as a partner, the fish oil importing company in Normandie, known particularly from the Key Bayaffair in 2017.